"By flowing quickly to protect critical engine parts and withstanding high heat conditions, Mobil 1 is a perfect choice for high-performance Corvette engines." FAIRFAX, Va. & DETROIT--(BUSINESS WIRE)--As a testament to the strength of the 21-year relationship with ExxonMobil, Chevrolet has produced its 600,000th Corvette, a thrilling 2015 Corvette Stingray, with Mobil 1™ as the sports car’s preferred motor oil. Beginning in 1993 with the C4 Corvette, Mobil 1 fully synthetic motor oil has served as the recommended service fill for every iconic Chevrolet Corvette model. As the Corvette has evolved to the current world-class C7 sports car, the formulation of Mobil 1 motor oil has also advanced to meet the demands of modern high-performance engines. Today, Mobil 1 motor oil is the factory fill for the 2015 Chevrolet Corvette Z06 and the 2015 Corvette Stingray with the Z51 Performance Package, while remaining the recommended service fill for all Corvette models. Mobil 1 motor oils are designed at the molecular level, and enhanced with a proprietary additive system, to provide outstanding protection against wear, heat, cold weather and sludge buildup – helping to keep Corvette engines running like new. Chevrolet recommends Mobil 1 5W-30, which meets or exceeds GM dexos1® specifications, as service fill for all Corvette models and Mobil 1 15W-50 for on-track and high-performance applications. To celebrate the long-term relationship between ExxonMobil and Corvette, a special video shot at the GM Bowling Green Assembly Plant in Bowling Green, Ky. is being released for Corvette and Mobil 1 fans. 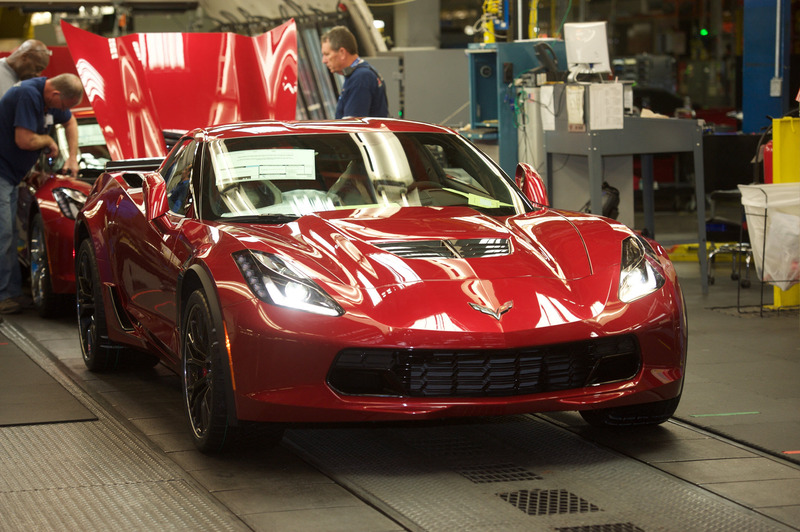 The video takes the viewer into the infancy stages of production on the Corvette Stingray Z51 and features a behind-the-scenes look at the assembly process. The video can be viewed at https://www.youtube.com/watch?v=YOMn_wB7kys. For more information about Mobil 1 motor oil, visit: www.mobil1.com. Mobil and Mobil 1 are registered trademarks of Exxon Mobil Corporation or one of its subsidiaries. Other trademarks and product names used herein are the property of their respective owners.